At Golden West Collision Center in Sunnyvale, CA you can count on state-of-the-art auto body service. By providing the highest quality parts and materials available and superior workmanship through our highly trained technicians, we will return your vehicle back to you better than ever before. We have restored thousands of vehicles to their original, pre-accident condition. Our impeccable auto body shop repairs have earned us the recognition of the Better Business Bureau. 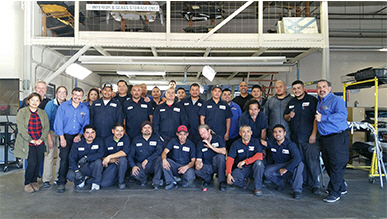 Golden West Collision Center’s most important concern is providing exceptional customer service. We minimize our customer’s inconvenience after a collision in two major ways. 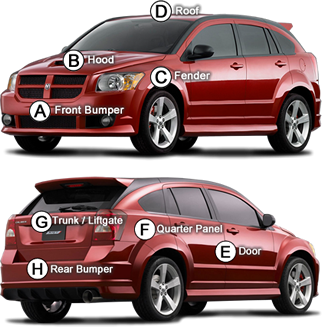 First, by assisting with auto body repair related details with the insurance company and secondly by assisting with a rental car if needed. We know an accident is traumatic already; we want to exceed your expectations with your auto body repair from start to finish. When it has to look original again!